Hundreds of panicking shoppers yesterday thronged supermarkets and engaged in panic buying after some of the country’s leading retailers opened their doors to the public following three days of closure due to a crippling national strike. “The three-day shutdown affected the public in terms of food stocks. There were some shops which opened but some are not yet open. The panic buying causes shops to deplete in a very short period of time…yet we do not have enough manufacturers. “There were huge loses, many shops were looted. Choppies Group lost about nine shops and four were actually burnt. The government must come hard on the perpetrators of violence,” fumed Denford Mutashu, the president of the Confederation of Zimbabwe Retailers. 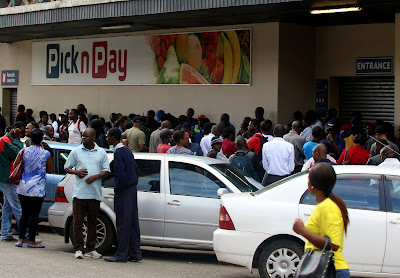 In the capital city’s central business district (CBD) yesterday hundreds of shoppers besieged the few supermarkets that opened their doors to the public and laid their hands on food and water – ostensibly to avoid being caught unawares – in the event that there were further disturbances. 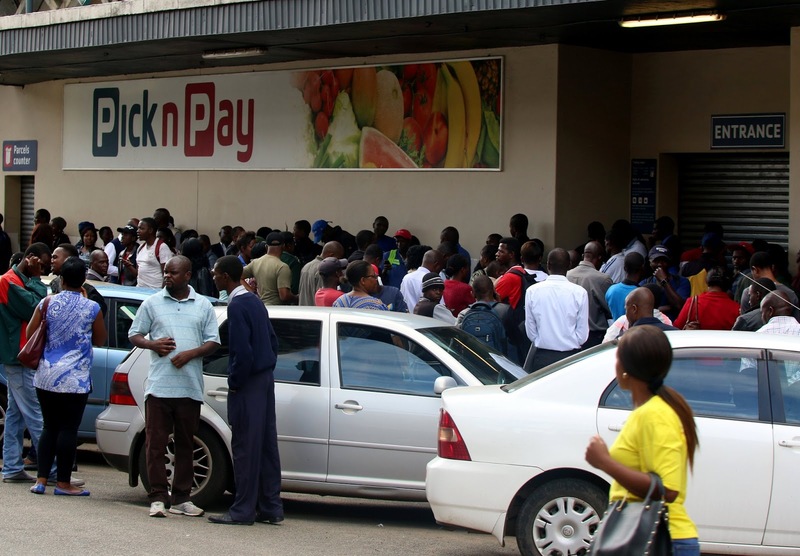 Besides the two cents per dollar translation tax, the disaffected Zimbabweans were further annoyed by government’s decision to charge motor vehicle duty in United States dollars despite its insistence that the bond note was at par with the greenback.